If you’re looking for the perfect party bite that everyone will love, look no further. These sweet, salty treats disappear almost immediately. The crunch of the bacon, the creamy filling of the date, no one will be able to resist (ok, maybe the vegetarians…). Here’s a great recipe for your Memorial Day celebrations that can be prepared inside or out. This recipe takes skirt steak, a relatively inexpensive cut of beef, and combines it with a flavorful chimichurri sauce to bring out the best in both. The spiced corn is a welcome compliment to the dish’s flavors and adds just a pinch of sweetness. In the middle of winter I found myself missing summer sweet tomatoes. Maybe because I just (finally) cleaned out my garden plot or maybe because I’m getting excited for my new, larger plot; either way, it was tomato time. I was also in the market for a fresh appetizer to bring to a gluten-free, vegetarian friend’s party and these hit the spot. These tasty bites made for a nice addition to the night that everyone could enjoy and were very easy to make. Back in June we celebrated a momentous occasion-the 21st birthday of Jurassic Park! Now, this may not be a big deal to you, but for any 90s kid, this movie marked the first time you were afraid of restaurant kitchens and the first time you looked at mosquitoes in a whole new light. 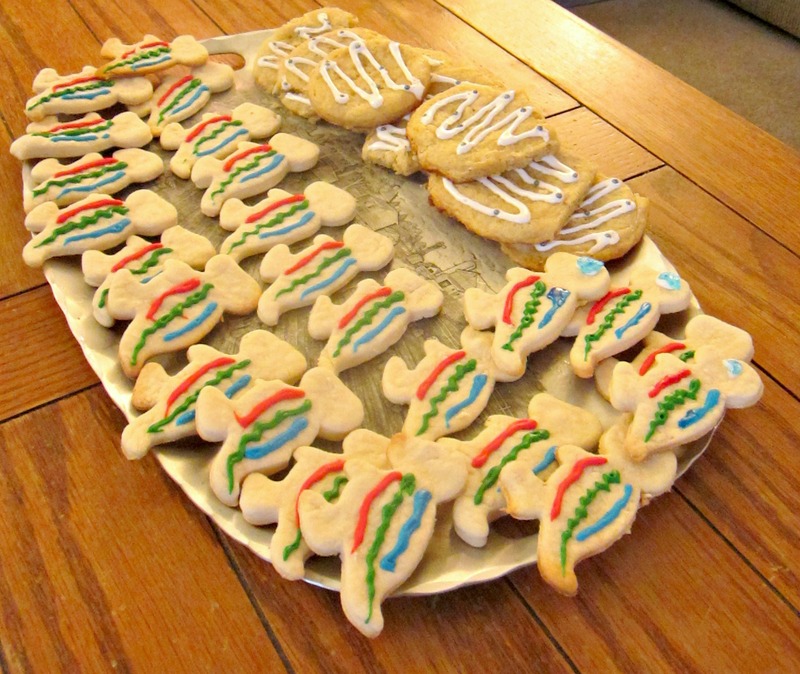 To celebrate Jurassic Park’s big day, we had a full blown dino dinner party, complete with shortbread T. rex cookies and gluten-free asteroid cookies. The gluten-free cookies were a bit of a disaster (although yummy) but the ferocious T. rex cookies turned out quite well, check them out!